Austin came to AAE with his mama, Tegan, from the DreamCatcher Wild Horse and Burro Sanctuary in April 2018. Austin was only a couple weeks old. AAE has been supporting DreamCatcher's herd reduction efforts since April of 2017 after the long illness and passing of their Executive Director, Barbara Clarke, in November of 2016. Austin was a shy, but curious little guy, and he had not been handled much. 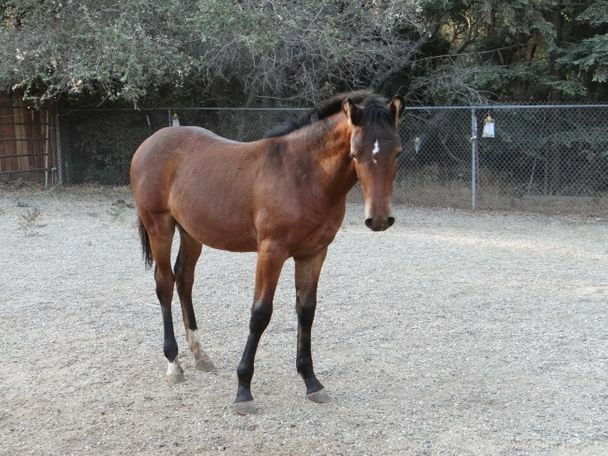 He has been introduced to a halter and leading, and although a little timid, he has a huge heart and a ton of try. This lil' guy will make for a very fun partner that should develop into a super horse. Austin is current with vaccines and deworming, and he is still learning about hoof care.